JG college of computer application conducted a seminar on cyber security. 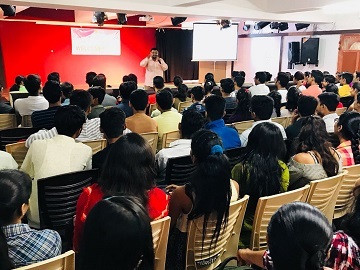 On 9th August 2018 .The speakers were from the company genesis solution represented by mr Rishabh Makwana and mr Rajendra Patel. Mr Makwana introduced the subject with definition of hacking , taking it to types of hacking , cyber security . He also talked about the need of the people in the area of cyber security in companies like NASSCOM . He explained how the use of social networking without proper knowledge could be harmful and at times threatening. A live demo of hacking whatsapp account was also demonstrated on a student s mobile. The session wasfruitful for the students .